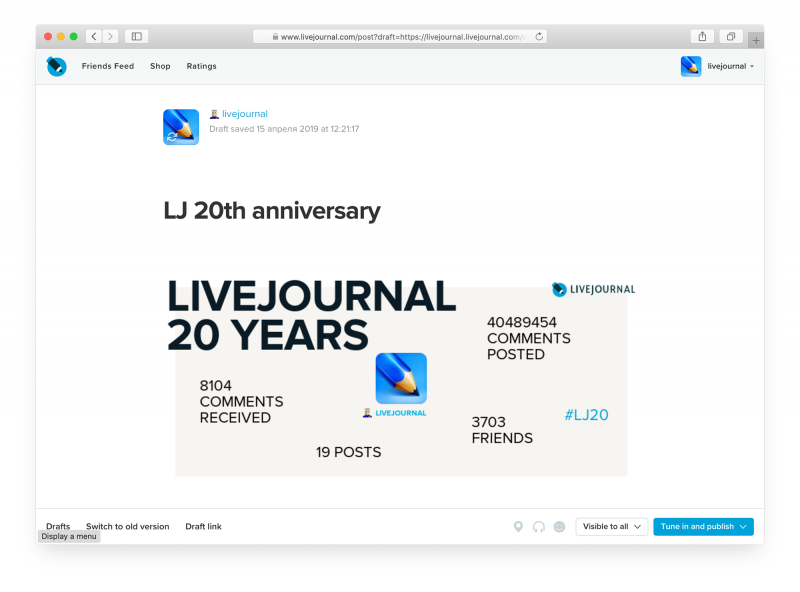 We launched special project "LiveJournal 20 years" where you can see timeline of main milestones of LiveJournal: important events, numbers and facts. LiveJournal users can find their activity on this timeline too: sign up date, first public post, popular entries and actual statistics. Also everyone can send greetings to Brad Fitzpatrick, creator of the service or show skill in HTML. You can share cards with results of the timeline in your journals or your social networks. We offer you 20% discount to all goods in LJ Shop (except tokens) to the end of April. Hurry up to buy or prolong your Proffesional package with a good deal! Recently we talked a lot about trends and fashion in text blogs, what is more popular: reporting or storytelling? Posts with lots of pictures or video? Posts about politics, celebrities or cinema? What is the most interesting, fashionable, popular topic? You can endlessly dispute, but if you stop and think then answer is obvious: life is more interesting! Life is the most valuable what we've got. 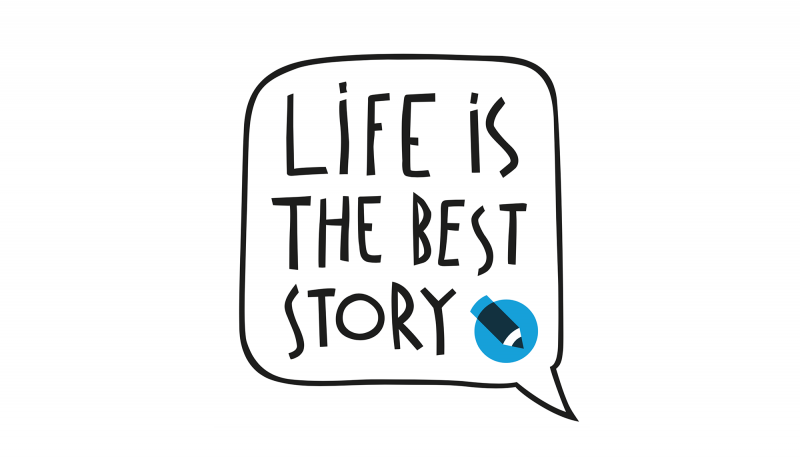 New motto of LiveJournal - Life is the best story! 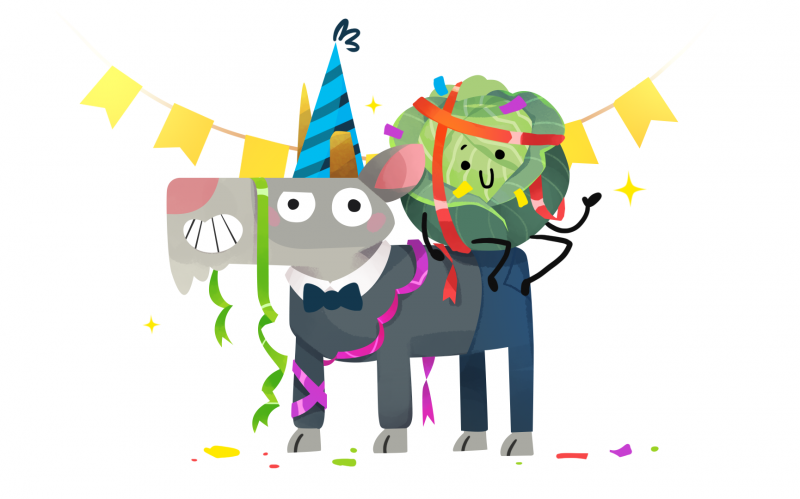 Well, LiveJournal is 20 years! We greet everyone: authors, readers, colleagues, partners! 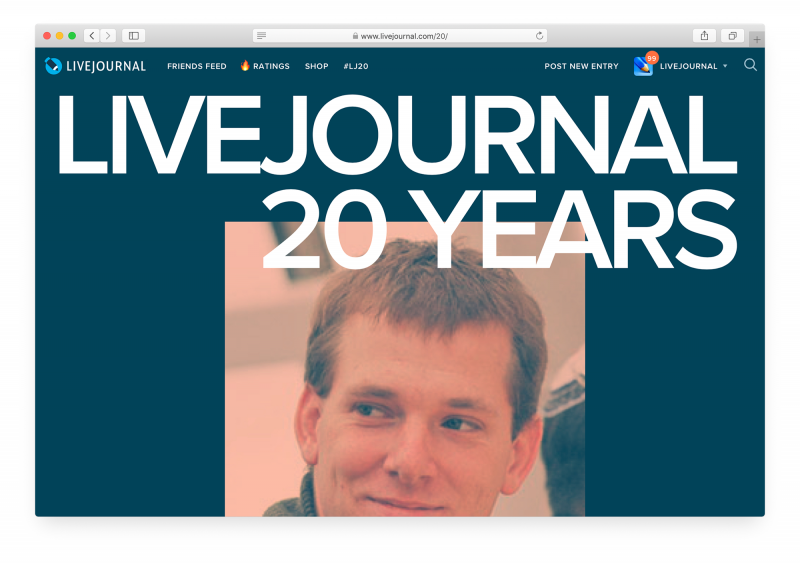 Be forever with us, dear cosy beloved LiveJournal!